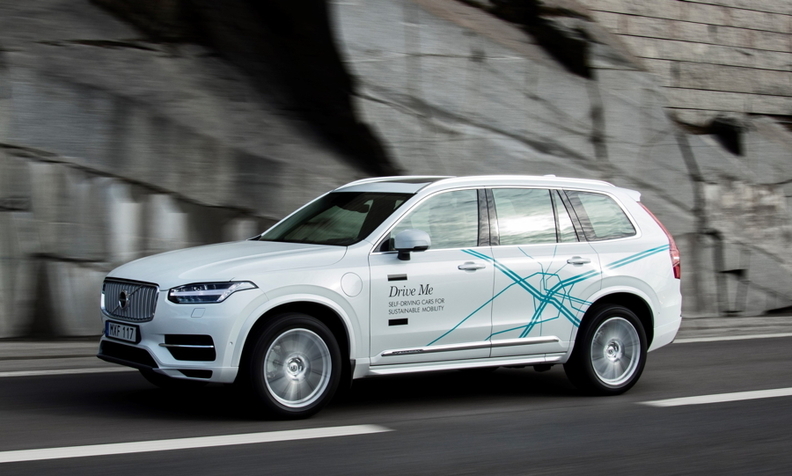 Volvo will begin self-driving tests next year using modified XC90s. Volvo plans to sell a model able to pilot itself along the highway by 2021, joining BMW Group in a promise of self-driving technology within five years. Volvo will start testing vehicles with advanced self-driving features next year in Gothenburg, Sweden, London and China, eventually putting about 100 test cars on the road in each country with ordinary customers as drivers. The project is a stepping-stone toward systems that are able to take over without human intervention. Volvo has set a goal that no person will be killed or seriously injured in a new Volvo car by 2020. To reach that target new Volvos will need to be equipped with new driving technologies, including advanced autonomous features. Unlike BMW, which announced its 2021 target together with Intel and Mobileye, Volvo is still looking for collaborators. The Swedish carmaker needs expertise in software and cloud services and is looking into "various partnerships right now," CEO Hakan Samuelsson said. "It's our ambition to have a car that can drive fully autonomously on the highway by 2021," Samuelsson said in an interview. "This technology is something as a carmaker you cannot develop by yourself." Putting hands-free driving on highways within five years will also require laws and regulations to keep up with technological advances, Samuelsson said. Volvo, which markets its cars based on a reputation for safety, has pushed driver-assistance systems as a way to reduce crashes. Technology that allows people to remove their hands from the wheel for a short time has come under increased scrutiny after the disclosure last month of a crash involving a Tesla Model S using the automaker’s autopilot system.